I’m Single. No, like, REALLY Single! Oh, you’re Single too? Bet you’re not as Single as me! I am, essentially, a professional Single. See, I am more Single than you. A year ago I was preparing for my first book related speaking gig. Steeling myself to step into the place of being “that Single girl” (read the blog about it here). While dealing with a familiar wave of self-doubt and insecurity over my abilities – I was also battling a stronger wave of resistance to stepping into that emerging role. 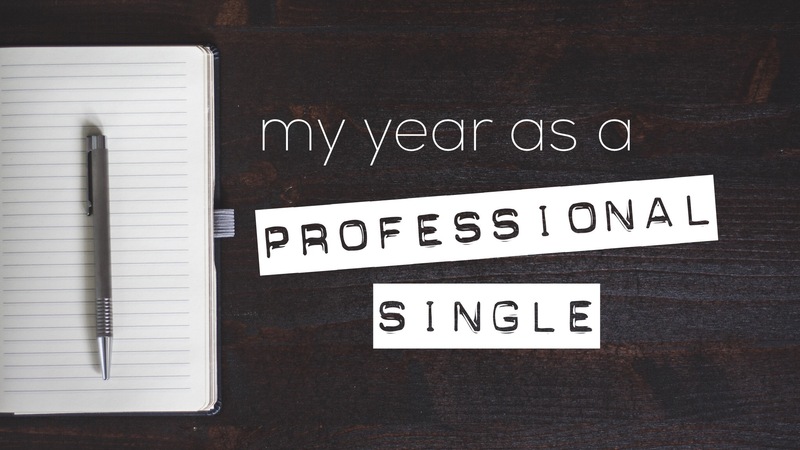 The ‘professional Single’. I don’t want to be Single. I don’t want to be the expert on it. I don’t want to be known as that Single girl. I didn’t then. And I still don’t now. But here we are, 12 months into the journey, and I am so incredibly humbled by all I’ve got to be a part of in that time. The fabulous people I’ve met and communities I’ve been welcomed into. The champion leaders who’ve humbled themselves to learn and understand, the many who have read the book and been shifted in their attitudes and actions. That Dad of Single adult children, the Single-again parent, the leadership team, the young adult Single, the church community – multiple unique and moving stories of how God has used the message of the book or hearing me at an event or listening to me via a radio broadcast to encourage them or strengthen their understanding, empathy and ultimately, their relationships. It is my ongoing wrestle. So convicted of God’s call and sure in His anointing and yet so deeply desiring to be writing a different story – to be living a different kind of life. I said this a year ago and I affirm it again today. It has hurt and it has been hard – some of my loneliest moments have come on the back of these ministry opportunities – but the fruit is evident and the joy of partnering with Him in His greater work fuels me to ongoing obedience and surrender. Even if sometimes it’s through gritted teeth and clenched hands. I keep stepping out and moving forward. Thanks Kimberly. I’ve been loving your blog, but this particular post gave me the encouragement I need to accept the mantle of professional single as well. It’s something I’ve been resisting, but there’s not much point ignoring it really. I have a friend who is in a different situation which would not have been her chosing either, and our thought patterns on this sort of thing are very similar. So thank you for being so open and wrestling with the half-asked questions so the rest of us can go “oh yeah!”. Glad to hear it Tam. I appreciate your encouragement. Be blessed!! I heard you speaking on Focus on the Family last week and I’m very happy to have found this blog afterwards. As a recently “Single-again parent” and a Christian, I’ve found this season to be very interesting (or perhaps tricky, tough, lonely and above all, complicated are better words?). It’s still early times for me, but the question of “What if God wants me to remain single?” has often crossed my mind and caused a bit of worry. Sometime soon I may need to find the answer to that question and hope there is discernment and wisdom for that time. I hope many individuals and churches hear your message because I think there are many gaps in awareness and acceptance towards single Christian’s over 30. Keep up the good work. Thanks for your comments, Stephen. What a difficult season you are navigating. If it helps, my answer to that question (What if God wants me to remain single?) – that I ask quite regularly – is I would want to have not wasted any time in ‘hold’ mode. That question causes me to be sure that I’m not living on pause, putting off decisions or missing opportunities that are part of my season now. Single forever or just for a season, I wouldn’t want to have spent it pining for what may or may not be ahead. Know what I mean? I do know. Psalm 126:5 was super important to me when my marriage fell apart. It gave me hope that the hurt wouldn’t last. It also gave me an instruction. The verse says “sow with tears”, not “sit on the couch in tears” or “hide yourself in a room in tears”. I had to start doing some things. Despite how busy life can be as a half time single parent of 4 kids (amazing privilege and a lot of fun), I started doing some things that were just for me (taking care of my health/fitness, growing friendships, spending more time with family), and also some things were for others (started to serve in church, volunteer/mentor outside church). It’s not a fast fix and I don’t think I am yet “harvesting with joy”, but I am content with my life, thankful for my experience and full of confidence and hope for even better to come. Great insight on “sowing with tears”. Love it.